Things to remember for any next time: a) rope in Him Indoors, no matter how much he protests and b) Bend From The Knees! It is/was a proper beast of a plant, 6ft high and 2ft across at the base, grown from a spindly Mother’s Day offering some 35ish years ago. Getting it out was a real wrestle, even after we’d savaged it with some fairly ancient loppers. One handle fell off regularly. To be fair, both Mum’s real loppers and my shiny new ones had been forgotten in my garage so the gardening antiquities were a bit of a godsend. The blackcurrant weighed a ton. 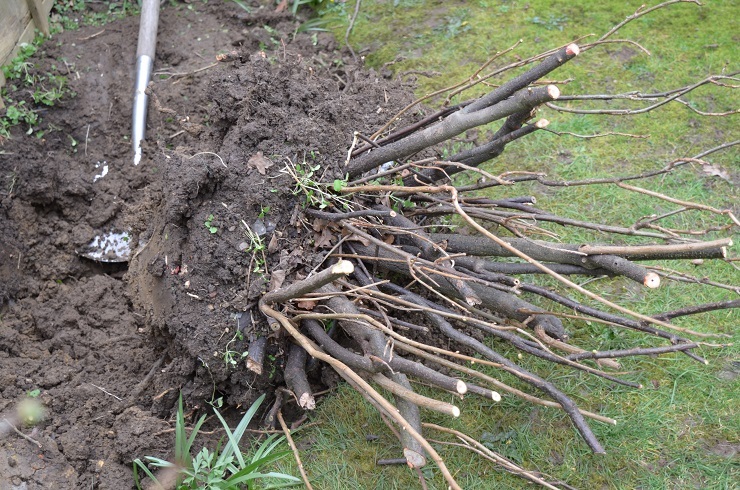 I am fairly sturdy, but being able to shift it at all meant getting rid of a lot of the soil on the roots, usually with some root. 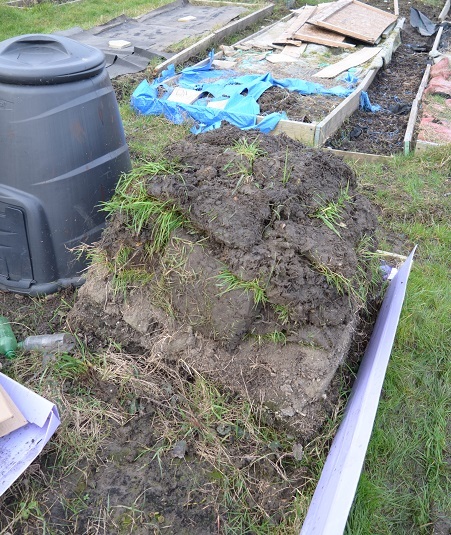 Which flies in the face of all my carefully garnered wisdom on moving mature plants. I am crossing fingers that there are enough left for it to survive. After all, the ancient gooseberries I moved last February are loving their new home and most of the soil fell off those as soon as they were lifted. Getting to the plot I realised that it was way too big for even my biggest pots – it’s now in 3 bits. One bit came apart naturally, the other with a considerable amount of assistance. 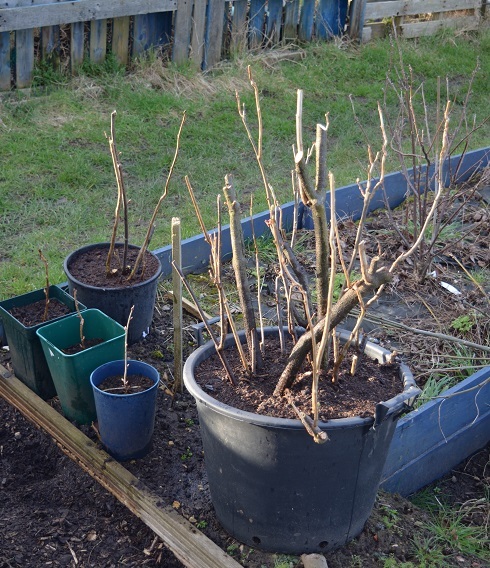 They are in pots because I’m dithering again – whether to put them in the (undug) half of #92 and have that as a low maintenance fruit plot, as per the original plan, or to put them up on #100 where the Munty frame was last year. 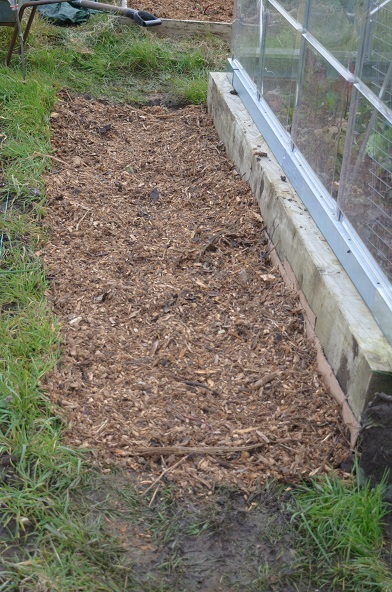 I managed to create 8ft of new path today, cardboarded over the fresh ground and covered that with 4 barrows of woodchip. 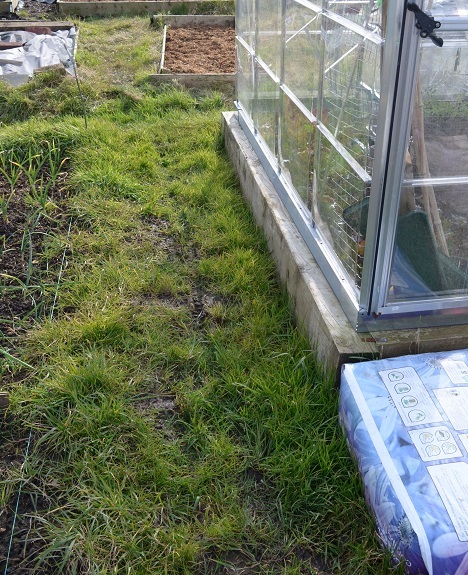 There’s about four times as much left to do, and I’ve optimistically decided it will be all sorted for mid-March, rain permitting. I am creaking now – it’s made me realise how soft I’ve gotten through an inactive winter. 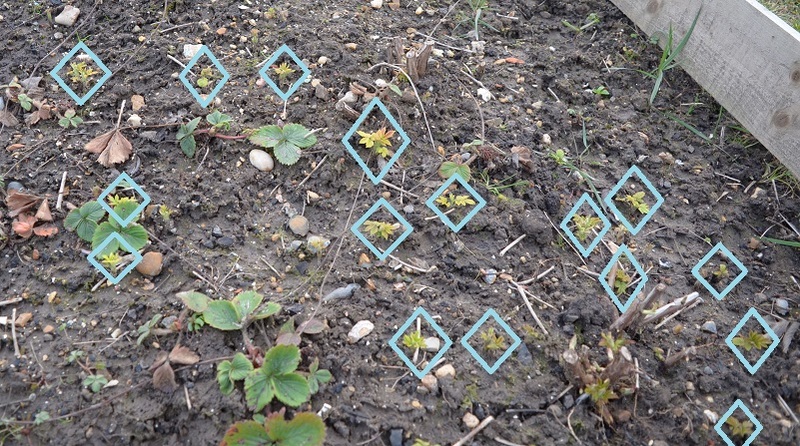 On plot amble I discovered my raspberries have been busy multiplying underground. A staggering number of new suckers are poking up, not necessarily anywhere near the parent. Given that I think I killed the Polka canes on my dim & cold balcony, this is very good news! Hope they can hang on till April for a new home. I’m impressed the monster blackberry is still productive after all those years. Do you know what variety it is? Sadly not. I was at primary school when I bought it for Mum with pocket money/Bank of Dad. Each flower bud seems to create one massive blackcurrant close to the stem and then a main string of large berries – up to 12ish per string. It had started to have the odd less productive year, but it was only fed for the first time the year before last. Sounds like you’re in for plenty more lovely harvests then! Wow! 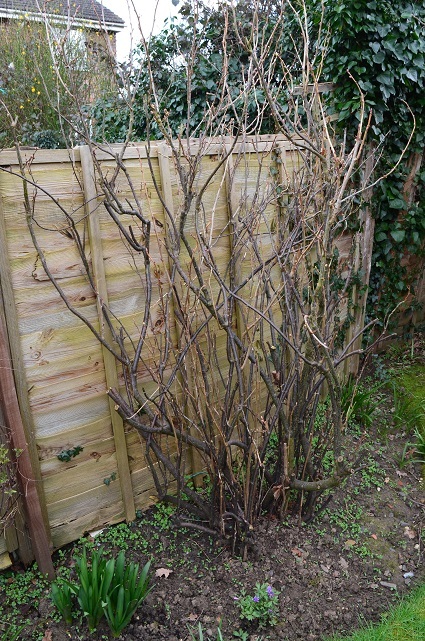 I had no idea blackcurrant bushes grew so big. I’ve only ever seen little shrubby things. Congratulations on shifting it. Hope it gives you lots of fruit. There won’t be fruit this year, but I hope it survives – it has enormous berries on long strings so it’s really easy to pick, and it usually gives a few kilos of fruit. Just in case it doesn’t make it I’ve got 6 rooted cuttings which I took last summer. Fingers crossed!